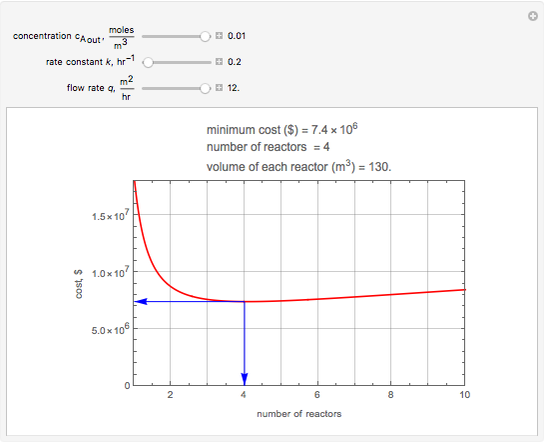 This Demonstration shows how to minimize the cost of a chain of continuous stirred-tank reactors (CSTR) where a first-order isothermal, irreversible chemical reaction takes place. 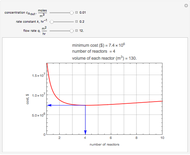 The design equation for this system is for . 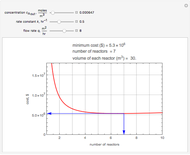 The solution obtained by using Mathematica's built-in function Solve is . 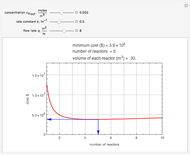 Here and are the concentration of reactant entering the first reactor and exiting the last reactor in , is the rate constant in , is the volume of each reactor in , is the volumetric flow rate in , and stands for the number of reactors. 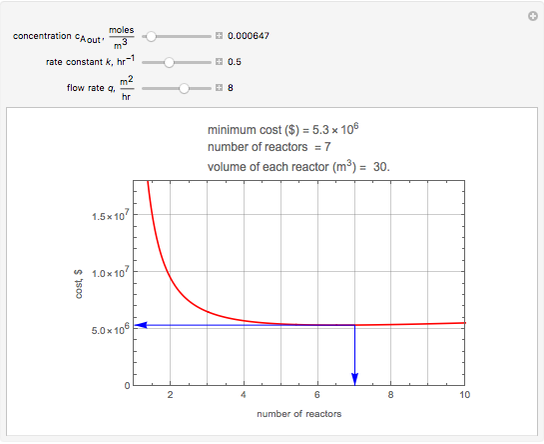 The cost for each reactor is in dollars, and by combining the above two equations, the cost for reactors is . 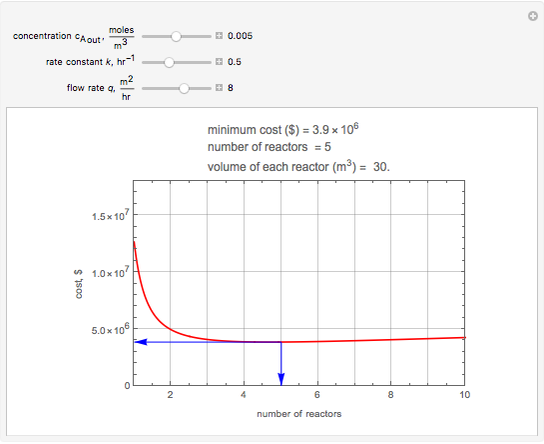 This function is minimized with respect to and the results are shown for and user-selected values of the outlet concentration of , , the rate constant , and the flow rate . Clay Gruesbeck "Optimizing a Chain of Continuous Stirred-Tank Reactors"